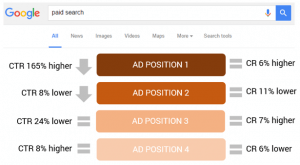 When your campaigns are limited by budget, they have the potential to spend more, but are automatically restricted by your paid search advertising platform (e.g., AdWords). Either your ads hop in and out throughout the day or they get choked out before the day is even over. When you have a relatively large budget to work with, this isn’t a substantial issue. You can just pump more money into campaigns and reap the same efficiency with more click volume. However, when working with a limited budget, lowering your campaign budgets can be an efficiency death trap. Controlling spend by limiting campaign budgets fundamentally keeps your efficiency stagnant. By understanding the following principals and tactics, you can manually lower spend to desired levels through optimization rather than campaign budget restrictions. I have personally utilized the outlined tactics below on +20 client accounts and it has yet to fail. In fact, most accounts typically see a 20% – 30% increase in week-on-week performance (e.g., return-on-ad-spend); performance varies by budget investment. Find additional information here. Whether your ads show throughout the day or faster in the morning depends on your ‘delivery method’. With ‘standard delivery’, your ad delivery might look something like this each hour in a 24-hour period. With ‘accelerated delivery’, your ad delivery might look something like this each hour in a 24-hour period. It’s important to note the difference. You own a coffee shop where sales are highest in the morning when people need their coffee fix. 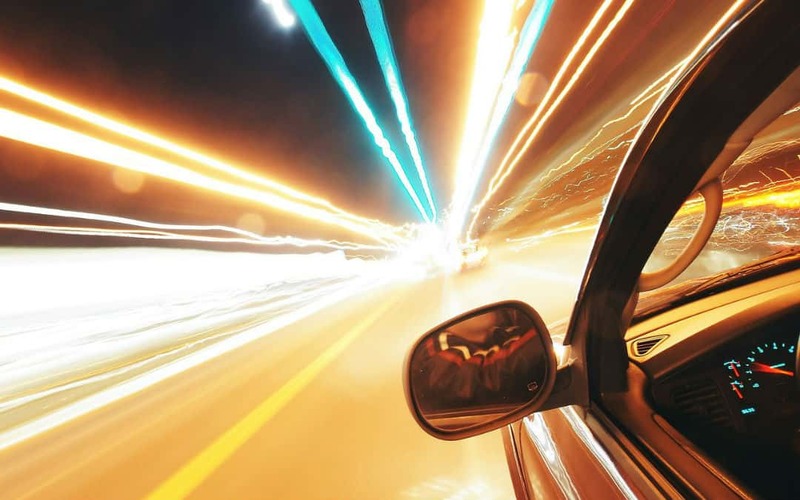 If you implement an ‘accelerated’ campaign, you’re reaching your customers at the best time possible. By the time your campaign reaches its budget capacity at 1pm, you’ve already reached your most prominent morning buyers. In the same scenario on ‘standard’ delivery, you’d end up missing out during crucial hours. You hold on to your dollars, releasing them little by little, to make it through the end of the day. This results in showing ads to people later in the day no longer craving coffee. Inversely, if you own a restaurant that is only open for dinner, this method would do the exact opposite and you’d be worse off. By default, if you set your campaigns to ‘accelerated’ and have very little budget to work with alongside ample query volume, you could spend your budget within the first hour. This doesn’t necessarily mean you’ll get less or more clicks than on ‘standard’ delivery. It only means budget pacing is controlled differently. Your goal is to set campaigns to ‘accelerated’ in order to enable showing ads every time you are available to show and not let the system depict when this is. The ‘accelerated delivery’ method can be used to improve ad performance, but shouldn’t be used to control the time your ads show. Find more information on ad scheduling here. Irrespective of ad scheduling, the best way to be efficient is to have campaigns last all day while simultaneously set to ‘accelerated’. This will require additional steps as listed below. Sometimes more budget is placed in campaigns that don’t have the volume to spend. That unused budget should be allocated to campaigns that can spend. By running a campaign report and discovering the average daily spend per campaign, you’ll have a better idea of what the daily budget should actually be. There’s no point of having a $400 daily budget for a campaign that spends $20 a day. Nevertheless, moving dollars around from campaigns that weren’t spending won’t solve the problem. If the overall account is on the edge of over-spending, the method above will clean up your account, but also cause other campaigns that were limited by budget to spend more. In order to control this spend, reduction in CPC bids are necessary. Before any CPC changes > You participate in less auctions, but win more often. By decreasing CPCs > You participate in more auctions, but win less often. Winning less often is actually ok, because you only need to win enough to spend the limited budget that you have. When you do win, you pay less to win. Lowering your CPCs allows you to stretch out the hours you participate in. This leads to more chances to generate conversions throughout the day. It’s like picking up the scraps, yet the scraps are just as valuable. Yes, your ad position will decrease, yet that doesn’t diminish your conversion rate, only your click volume. There are many reports across the web that support the higher the ad position, the higher the CTR. However the conversion rate typically stays the same. As all scenarios differ, please review the particular account of interest. If you’re not interested in hogging all the volume, targeting a lower position will actually help you. In the brief internal report below, you can see a significant variance in click-through-rate for ‘Ad Position 1’ yet the conversion-rate has no consistency with little variance (variance from the mean for both CTR and CR.). All-in-all, a lower CPC bid equals a lower ad position, which leads to lower cost-per-conversion (due to consistent conversion rates). If you aren’t going for the full click volume opportunity, you can fundamentally get a portion of that volume at a discounted price. If set up correctly, ‘accelerated’ will resemble ‘standard delivery’. The only difference is your budget will be spread throughout the day, wherein CPCs control your daily pacing. You can see that the total spend will be exactly the same, yet CPCs have been reduced to $1, down from $2 (compared to Figure 1). This allows double the click volume at the same budget. CPCs are the catalyst that control budget pacing once you’ve set campaigns to ‘accelerated’, so make sure you’ve lowered them significantly before proceeding. Keep an eye on your campaigns throughout the day, especially on the day you implement these tactics until you feel comfortable with the results. Unless CPCs are at the correct equilibrium, you may enable yourself to spend more than you want to on ‘accelerated’ in the first couple days. As another protective measure, be sure to implement monthly IOs in the engines. Your worst case scenario then is a quick month rather than an annual blow out. 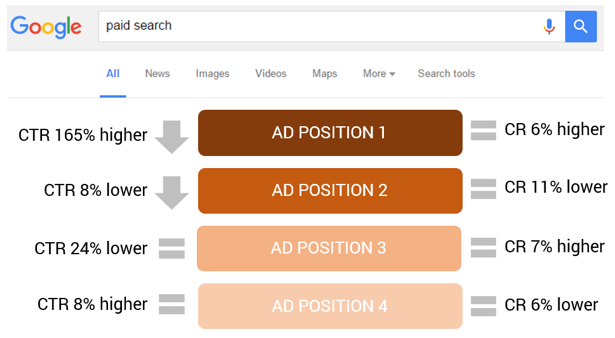 When looking at your campaigns in Google, instead of seeing your campaigns being listed as Limited by Budget, all campaigns should be listed as Eligible. Feel free to share your individual experiences with limited by budget campaigns in the comments below. Good luck! Very interesting article and concept! Question: its common knowledge that having a high CTR lowers CPC, a reward from Google for having a high CTR. Is it better to bid $2, have a higher ad position and therefore higher CTR, and get an actual CPC of $1? Or better to do like you said, and lower the bid. Thanks Natanel. Google does reward you for having an outstanding CTR but the variance isn’t that big from a good CTR. However, if you have a very poor CTR then you’ll run into a big CPC penalization. What I have found though in most all cases is that keywords will still hold a relatively good Quality Score even if you’ve been in a lower position for awhile. The savings you gain by decreasing CPCs for limited by budget campaigns far outweigh any decrease in Quality Score and impact on relative CPCs in regard to ad position. Also, with accelerated spend on, you can often still be in your same position, but you just pay less for it because you are competing more often, even though you are theoretically losing auctions more often. Keep in mind, this optimization can be made right away wherein fixing historical CTR/Quality score can take a bit more time. You can always do this temporarily then revert after you’ve garnered the savings sought after if you see any sort of dip in performance but I have yet to see any negative impact from this type of optimization in my experience. Let me know how it works for you!